Bill Brough had dreams of a country retreat near wildlife, wooded areas and small lakes far away from the hustle and bustle of city life. In 1955, he purchased 45 acres in northwest suburban Cook County for $500 per acre. “People moved into this area because they like open space,” Brough recalled recently while sitting at a table in the barn he built to house his woodcarving hobby. But sensing a battle, Brough and six others mobilized. Over a weekend, they drew up plans for the village of South Barrington, where lots were required to be at least an acre–”a law that still exists. Though Chicago’s effort to rewrite its 45-year-old code has drawn more attention, housing experts say zoning is a battleground in the fight for affordable housing in regions like the northwest suburbs that have recently experienced significant job growth. 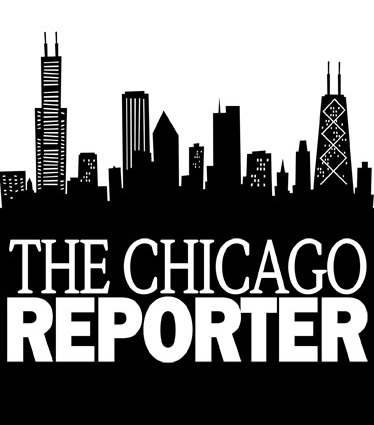 According to a recent survey conducted by the Public Policy Practicum at the University of Chicago, in conjunction with the Reporter and WBEZ 91.5 Chicago Public Radio, 93 of 99 municipalities surveyed in Cook, west suburban DuPage, north suburban Lake, northwest suburban McHenry and south suburban Will counties have a written zoning plan. But only one third of those plans listed “expand[ing] affordable housing opportunities within municipality” as an objective. Census records show that the wealthier communities surveyed were more likely not to have “affordable housing” goals. About 24 percent of communities with median household incomes above $70,000 a year included the goal in their zoning plans, compared with 37 percent of communities with lower incomes. “There is a fear that somehow thousands of public housing families are going to be rushing into these communities,” Pennick said. This type of “exclusionary zoning,” Pennick said, came out of a longstanding history of affluent and white residents moving into outlying suburbs as poorer populations of color moved into cities. Meanwhile, housing in high job growth areas is beyond the reach of many working and low-income families, according to the Metropolitan Mayors’ Caucus, a forum of nine suburban government councils and the City of Chicago that addresses issues affecting the six-county region. Chicago Mayor Richard M. Daley created the group in 1997. And zoning requirements such as South Barrington’s, and the hefty price tag attached to them–”an average of $343,543 per lot since January 2001, according to Bill LaMack, president of ERA Countrywood Realty–”have left no room for more affordable housing. As a result, South Barrington is not keeping pace with surrounding communities that have experienced tremendous minority growth in the last decade. Census records show the village has 3,760 residents, and its minority population rose from 10 to 17 percent–”14 percent Asian, 2 percent Latino and 1 percent black–”between 1990 and 2000. During the same time, South Barrington’s neighbor to the south and east, Hoffman Estates, saw its minority population grow from 16 to 30 percent. This trend, studies show, is at least partly the result of that village’s “inclusionary” zoning code, which allows for the development of affordable and low-income housing. But many South Barrington residents feel that, if affordable housing means high density, they never want it–”and they’re not sure they need it. “Is there really a shortage of affordable housing? I would question that,” said Bob Growney, a 59-year-old retired president and chief operating officer for Motorola who has lived in the South Barrington Lakes subdivision since 1979. “We’re not everything within ourselves. We’re part of Hoffman Estates. We’re part of Schaumburg. We’re part of Barrington. We’re part of all these other communities and taking it as a whole then we are providing –¦ diversity,” said South Barrington Village President Frank Munao. But more than half of the village’s apartments turned condo in the 1980s. Eventually, mortgage lenders came in and rehabbed the apartments, she said. And they went condo to recoup their investment. “That was a market issue,” explained Hayter. Hoffman Estates still has townhomes, apartment complexes, bi-level homes and larger single-family dwellings. There are also 201 families renting apartments with Section 8 vouchers, a federal rent-subsidy program. As the village’s housing stock has grown more diverse, so has its population. Census records show that the percentage of Latinos doubled over the past decade, growing from 5 to 11 percent. The Asian population had similar growth, from 8 to 15 percent. Hoffman Estates’ black population increased from 3 to 4 percent. But, while Hoffman Estates is more racially diverse, many of the village’s blacks and Latinos live in a single census tract that is the only area in the northwest suburbs with housing defined as “affordable”–”purchase prices less than $128,000–”according to a study by Chicago Metropolis 2020, a non-profit regional planning group based in Chicago. This area is bordered by Bartlett and Barrington roads south of the Northwest Tollway, and contains mostly apartment buildings and townhouses. With 6,732 residents, the area is about 14 percent of Hoffman Estates’ total population, but it is home to one-third of the village’s blacks and 17 percent of its Latinos. Todd Swim, a 46-year-old consulting actuary who serves as a trustee on South Barrington’s board, agrees that the village is diverse. Swim, who moved to the village for its long-standing zoning policy, feels affordable housing is not its responsibility. There’s not much the residents of South Barrington won’t do to preserve the character of their community. In the last 18 months, they have ousted most of the members of their village board and voted to raise taxes–”all to prevent construction of a high-density development near the village. Various city and suburban newspapers reported that former village trustees approved the development because they feared that Hoffman Estates could annex the property, leaving South Barrington with no control over it. Under Hoffman Estates’ zoning code, developers could have built anything from single-family homes on one-acre lots to multi-family apartment buildings. The move angered many South Barrington residents, who took action. In April 2001, residents voted out the former village president and three of the board’s six trustees who had approved the project. In their place, residents backed candidates who opposed The Woods project. “People demonstrate by voting,” said long-time resident Growney. In September, the project’s developer and its financial backers sued the village for breach of contract and asked for almost $54 million in damages. Village residents subsequently approved a property tax hike to pay for the village’s legal expenses. Many of South Barrington’s current trustees told the Reporter that the possibility of The Woods seeking annexation by Hoffman Estates was absurd. “Having the South Barrington name is more important to a developer than having a high-density project,” said Helsing, even though a high-density development could turn a much quicker profit. David Reifman, an attorney for the Piper Rudnick law firm in Chicago who represents The Woods’ developer, said that, while South Barrington was the “best option” for the development, Hoffman Estates has also always been considered. In the last decade, residential developments have become more of an issue in the northwest suburbs since jobs have moved there in large numbers and affordable housing hasn’t kept pace. Meanwhile, the debate continues over who must take responsibility for housing these minimum- to low-wage earners. According to a recent study by Metropolis 2020, northwest Cook County and DuPage County accounted for nearly half of the six-county region’s job growth between 1991 and 2000. The study also showed that only two census tracts in the “high job growth region” have housing defined as “affordable.” One of them lies in the western suburbs and crosses the border between Villa Park, Oakbrook Terrace and unincorporated DuPage County. The other is the Hoffman Estates area south of the tollway. Smith, now a self-employed diversity consultant who also teaches aqua-kickboxing at the complex’s clubhouse, said she pays $1,045 a month for her two-bedroom, two-bathroom apartment. “I think that’s the average for the space I have and the amenities offered,” she said. But, she added, the “rents are too high” for low-income families. McLeod said condos are, in many ways, more affordable than rentals. “Where people can buy the condo, you have the property taxes –¦ but their mortgage is frozen. You’re much better off buying the place. But Helsing feels that affordable housing is not South Barrington’s problem because it’s not contributing to the region’s commercial development. South Barrington lacks a downtown area or even a commercial center. It has about 10 businesses, including the Allstate Insurance headquarters, an upscale restaurant, a dentist’s office and a 30-screen movie theatre–”all of which are located on the perimeter of the village. “We don’t have any Burger Kings [in South Barrington]. We don’t have any gas stations. It would be the responsible thing to do for areas that have these kinds of things to provide housing for their workers,” Helsing said. Still, despite South Barrington’s efforts to prevent it, commercial development continues all around. Even though South Barrington shuns commercial growth, trustee Swim said residential developers willing to build under the village’s restrictive zoning are always knocking on its door. Construction continues at South Barrington’s four newest subdivisions, which could eventually add approximately 200 new residents, according to Ray Wolfel, the village’s building and zoning officer. “If you’re working here and earning the money that police officers are making, you can’t live in this village,” said South Barrington Police Chief Chuck Gruber. “They’re good enough to teach my children, protect me from burglars or fire –¦ but [they are] not good enough to live down the street from me. Why shouldn’t they?” asked King Harris, senior executive at Metropolis 2020. Harris is the former president and chief executive officer of Pittway Corp., a Chicago firm that made and distributed alarm systems. He started a program to help workers buy homes near the company’s factory in west suburban St. Charles. Mark Spreyer, who runs a nature center and humorously referred to himself as “probably the poorest guy” in South Barrington, said politics will prevent local leaders from taking the lead in creating affordable housing. “I don’t think any official here would get re-elected if they changed the zoning requirement,” he said. Although the federal and state governments are offering incentives for developing affordable housing, such as tax breaks for investors, there is no “systematic political will” to do this at the local level, said Reifman. Harris said there are several ways state government could apply pressure on communities to provide affordable housing. The state could withhold money for infrastructure, education and other services from communities that don’t provide it. “If your attitude is that –˜I don’t want to be a part of this,’ then you will not get the same amount of state funding –¦ that you’d been getting up ’til now. You’ll just have to raise that money yourself, and communities that are cooperative will get it,” Harris said. Under a federal tax incentive plan passed in 1986, each state is allocated the equivalent of $1.75 per resident to distribute in tax credits to investors who help fund affordable housing developments. Under the program, investors are given a 10-year tax credit in exchange for investment in an affordable housing development. Illinois’ portion of this program is approximately $21 million each year. Under the plan, the state will provide a 50 percent tax credit match of money donated for an affordable housing endeavor by the private sector. The amount was set at $13 million for the first year, but will increase 5 percent each year. In addition, $2 million was set aside for companies that help their employees find housing. “We fashioned the bill with the idea of getting our foot in the door. We would have liked to have had a bigger commitment from the state,” Peterson said. Munao, South Barrington’s village president, said that village is part of a larger northwest suburban area that does provide affordable housing. “I don’t think you can take a community as small as the boundaries are for a village like South Barrington and say that we have to have everything in the world possible within those boundaries,” he said. “If we concentrate lower income people in certain neighborhoods, we’re going to create social problems. Haven’t we learned that lesson in the city of Chicago long ago?” Harris asked. But South Barrington residents said preserving their environment is their main objective. “We are providing a style of living where we don’t have the cosmospolitan attitude of the larger communities,” said Munao. He cited Montgomery County, Md., which is the nation’s fourth-wealthiest county, but has “inclusionary” zoning. According to the county’s Web site, 31 percent of its homes are multi-family structures, and apartment rents range from $664 for an efficiency to just more than $1,000 for a three bedroom. The county is 73 percent white, 13.4 percent black, 10.9 percent Asian and 8.6 percent Latino. The median single-family home value was $197,000 in 1997. “It is quite possible to build wonderful new subdivisions with very expensive homes, which are very near attractively priced mixed-income housing, townhome-style dwellings with three units as opposed to one,” Harris said. “Unless someone pointed out to you –¦ that that’s where [the affordable houses] were, you might not know,” he said, adding that such changes could take place in the Chicago area. Highland Park, the North Shore suburb known for its old-money charm, is currently rewriting its zoning code to make it more inclusive. A study by the Campaign for Sensible Growth, a regional coalition of civic and business leaders, found that Highland Park could benefit from providing affordable housing. “Other communities have found that well-designed and carefully placed higher-density housing often adds value to surrounding properties,” the study said. In the “2002 Housing Action Agenda,” the Metropolitan Mayors’ Caucus and the Metropolitan Planning Council listed nine steps for creating affordable housing. They included providing mixed uses–”both commercial and residential–”within neighborhoods, encouraging an array of quality housing and supporting growth that not only provides economic opportunities but also preserves the environment. But, he added, “the local governments would have sole authority on the zoning and the planning of” affordable housing. The mayors’ caucus published a list of “Housing Endorsement Criteria” that concludes that stability and productivity for both employees and their companies could be compromised without local housing for wage earners at all levels. “There is a very strong ethic from local leaders: –˜Don’t tell us what to do. Show us why it might be necessary and then let us do it,’ ” she said. Tarshel Beards, Rupa Shenoy, Abbie Van Sickle, Steve Sierra and Tamirra C. Stewart helped research this article.